The Metro user interface is without doubt the most controversial feature of Microsoft's upcoming operating system Windows 8. When you dive deeper into the criticism that Metro faces, you notice that one argument stands out among the majority of critics: Metro is for tablets and touch-devices and not the desktop. While it is possible to use Metro with a mouse and keyboard, its big buttons and controls, like the Charms menu and swiping motions, do cater to an audience that uses touch-devices. When you look closer, you will also notice that Metro does not really offer anything that desktop users can't do on the PC or on the Internet as well, oftentimes even better. Take some of the default apps that are displayed in the interface after installation. The web browser, IE 10, lets you browse the Internet, but only on one site at a time. The desktop version of Internet Explorer does not have that restriction. It gets worse when you need to use a file browser, for instance when using the video player. If you have ever tried to open a local file, you may have noticed that it takes quite some time to browse to the directory of the video, provided that it is not stored in the Video library folder. On the desktop, you can use Windows Explorer instead to find the video, or simply drag and drop it into the video player to play it. Metro apps on the other hand provide access to news, information and tools in a direct way. Users can check the latest weather report, sports news or the latest video trailers directly from within the interface with a minimum number of clicks. Despite the criticism that Microsoft faces, the intention is to go forward with Metro, and everyone should understand that there is no turning back at this point in development. Customizability has long been one of Windows' greatest strengths. We have seen hacks and tweaks for nearly every part of the system, and as soon as Microsoft announced that Metro would be part of the next version of Windows, users started to develop tools and methods to bypass Metro or even disable it completely. Some of the earlier tools that worked in the Windows 8 Developer Preview or Consumer Preview, no longer work in the Release Preview. I would like to provide you with two options that do work in the latest public version of Windows 8 -- one that lets you bypass Metro on start, and one that disables it completely. Bypass Metro. If you are switching to the desktop right away on start of the operating system, you may be interested in bypassing the Metro interface automatically. This method is not disabling Metro nor the interface enhancements that go along with it. A tap on the Windows-key for instance brings you right back to the Metro interface. Create a new plain text document on your desktop or another location. You can do so with a right-click and the selection of New > Text Document from the context menu. Rename the text document to metro.scf. Make sure the .txt extension gets removed in the process. You can verify that by comparing the icon before and after the renaming: it should be different after you have renamed it. Now it is time to add the file as a Task to the Task Scheduler. The easiest way to open the Windows Task Scheduler is to press the Windows-key to get into Metro (how ironic), enter schedule, switch to the settings filter on the right, and select the scheduler from the results listing. Select Task Scheduler Library in the new window, right-click in the task listing, and pick the create new task option from the context menu. Enter a name for the task, e.g. Metro, and switch to the triggers tab. Click on the add button here and select at log on in the begin the task menu at the top of the new window. Switch to the actions tab afterwards, select browse, and then the metro.scf file that you have created previously. When you restart Windows 8 now, the operating system should automatically bypass the Metro interface. On most PCs, this should be near instant. Disable Metro. A small demo program has been released a few days ago in the Chinese PC Beta forum. The program, with the name Fxxk Metro disables Metro completely when it is executed. It needs to be noted that this is only valid for the active session, and that a restart, or logging off and on again, will enable Metro again on the system. The program has several side-effects that make it quite difficult to work with the operating system. The Windows-key for instance won't open the Metro interface anymore, and the Charms bar is not displayed when the mouse is moved to the lower or upper right corner of the screen. Some side-effects can easily be circumvented. It is for instance possible to use Alt-F4 to display the shutdown or restart menu. Others, however, require third party software to be installed. Probably the biggest issue is the missing search and program launch option, as Metro is disabled, and the Start Menu not present anymore in Windows 8. A program like Classic Shell adds the Start Menu back to the operating system, along with search, program launching options and access to the operating system's control panel. 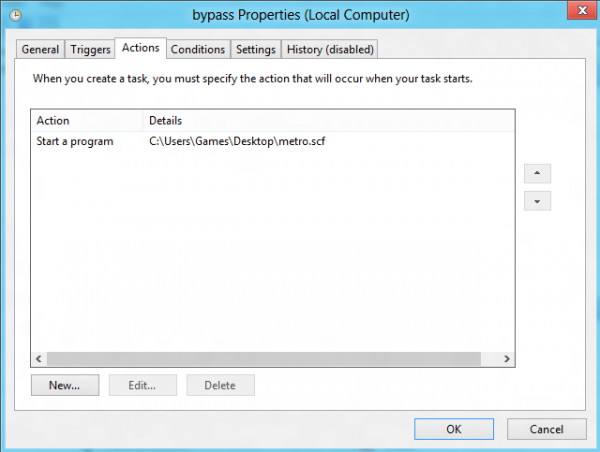 The program itself demonstrates that it is still possible to disable Metro in the Windows 8 RP. This can also be seen as an indication that similar methods will be available when Windows 8 is released by Microsoft later this year. Caution is advised when using the program, even though a VirusTotal scan returned 0 hits. Demand for tools or methods to bypass or disable Metro will be high, especially in the beginning days of the Windows 8 operating system. It is likely that we will see professional tools shortly after the release that will take care of Metro in one way or the other. The pursuit of this goal obviously depends very much on the individual users. Most Windows 8 users who do not like Metro, or can't see a purpose to use it, will probably simply ignore it for the most part, while die-hard users might use one of the then available tools to bypass or disable the interface completely. 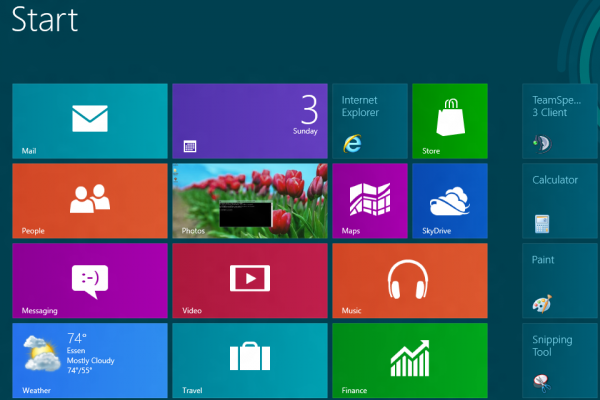 What's your take on Windows 8's Metro interface? Have you tried to bypass or disable it, or do you feel that it adds value to the operating system?